airBaltic: Cheap flights from just €14 each way! airBaltic has just launched a nice sale with tickets starting at as little as €14 one way. There are weekend dates available. If you’re planning a city break or ski holiday, don’t miss out! Start exploring the world! Choose one of outstanding destinations and fly away! You may purchase discounted flights to numerous cities from Lithuania, Latvia, Estonia, Ukraine and more. Book now to take advantage of low fares to all destinations. Plan a skiing trip or book a spring getaway to one of Europe’s most romantic cities. There are weekend dates available. If you’re planning a city break, don’t miss out – these seats probably won’t last long. CLICK HERE >> or follow the links below. In Liepaja we recommend 4* Europa City Amrita Hotel with excellent reviews. This property is 18 minutes walk from the beach. Europa City Amrita Hotel is located in the centre of the town Liepāja, in Latvia’s Kurzeme region. The 4-star hotel offers rooms with a flat-screen TV with cable channels, a minibar and a private bathroom. Free private parking is available for hotel guests. The rooms of the Amrita Hotel feature an elegant interior design with wooden furniture, which includes a work desk and a wardrobe. 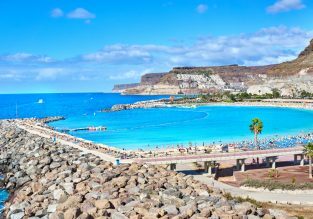 7 nights in 4* hotel in Gran Canaria + cheap flights from London for £182! CHEAP! June week at well-rated 4* beachfront resort in Halkidiki peninsula + cheap flights from London from just £98! Spring week on Gran Canaria! 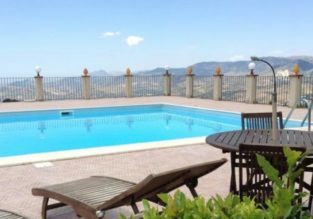 Stay at well-rated & beachfront resort + cheap flights from UK from just £129! 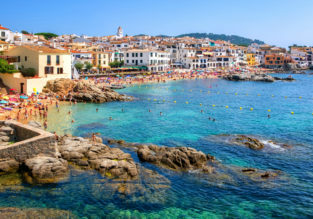 Collection of cheap flights to sunny destinations from London from just £9!